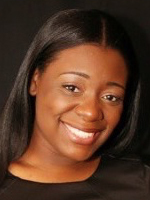 Cherrell Angervil is a Social Media Manager for Small Businesses and Non Profit Organizations. She has been groomed by her corporate experience with Toys R US and her immense passion for all things social. She holds a BFA in Fashion Design and a MA in Communication Studies from Kean University. Cherrell is a New Jersey native as she was the first person in her family born in the United States.